My name is Garry McGivern. In December 2007 I lost my wife to breast cancer, aged only 42. To say thank you to the local hospice that cared for her (St Wilfred’s) and keep myself occupied I decided to go on a charity cycle ride from Spain to England. After completing this first cycle ride, I found that I’d got a real taste for long distance cycling. Despite being middle-aged, overweight, drinking far too much and overeating, I seem to be able to ride a bike for miles without any training and have been cycling around different countries ever since, whenever I have the opportunity to, work commitments and finances permitting. I’ve since cycled in over 35 countries and covered over 50,000 miles and certainly didn’t have any intentions of stopping! Unfortunately, in July 2018, I contracted sepsis! (Read what happened ) And was unable to ride a bike! But after spending six weeks in the care of my local Hospital, where I also had hip replacement surgery, I was allowed home. After a further two months of recovery at home, I was once again able to get back on my bike and cycle once more! I have set up this website so people can follow my progress; please click on any of the links to find out more. I hope you enjoy the ride!!! 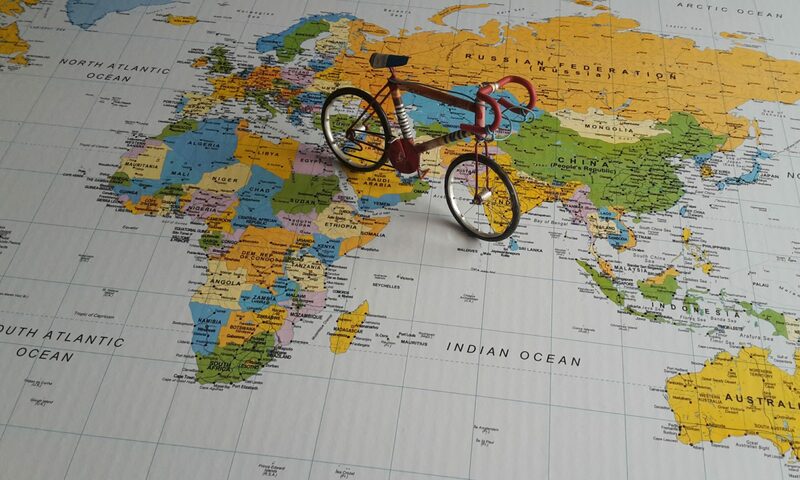 All Garry’s previous trips in year order, over 50,000 miles cycled in 40 countries and five continents since 2008. Click on any picture to find out where Garry cycled in that year. Garry has also completed plenty of smaller rides, but being under 500 miles he doesn’t tend to put them here. These smaller rides are in the archives section at the bottom of the page click on any month to find out more. To find out where Garry is at the moment look in Garry’s Progress at the top of the page.